UK-based agency System1 has upgraded its award-winning Predictive Markets idea testing technique. Next Generation Predictive Markets draws on learnings from over 40,000 tests and promises clients 'improved accuracy and greater speed at a lower cost'. The new tool provides results next day. Each test gives ideas a 1- to 5-Star rating based on predicted market acceptance, emotional appeal and a new speed of acceptance measure including the firm's 'Fluency' factor. Three stars are the minimum predicted to generate profitable growth. Chief Innovation Officer Orlando Wood comments: 'Fluency is the make-or-break factor here. Fluent Innovation is when a new product feels immediately familiar, even though it's new. It's the 'you had me at hello' factor that makes the difference between a profitable launch and a failure, and at System1 we predict and produce it'. System1 CEO John Kearon adds: 'Launching 1-Star ideas is like incinerating money. We want to predict and produce 5-Star ideas and end 1-Star launches. Next Generation Predictive Markets is how we do it'. 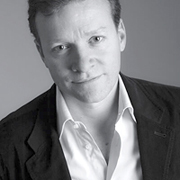 System1 Research was founded as BrainJuicer in 2000 by Kearon (pictured) and pioneered the use of behavioural science for marketing geared to profitable growth. The firm has long championed the work of psychologist and Nobel Laureate Daniel Kahneman on the two 'systems' of human decision-making, and rebranded accordingly in February of this year. Its web site is now at www.system1research.com .